…The amazing Rick and Morty TV series! Yes, I am a HUGE fan of this cartoon, but this was only until about a year or so ago. I wanted to talk about the animation. It’s quite a quirky catch, it’s very colourful and bold; there would often be moments where I’m left in disgust at the beginning from something a character has done and soon the disgust has faded because it’s finished off with something so vividly hilarious, that it’s been used as a distraction to divert my attention away from what was so immoral to me. To steer back to the subject of animation, I remembered seeing this looped music video within one of the episodes and it reminded me of the looped metamorphosis animation project I had just finished doing. Besides the various range of colours and quirkiness the cartoon drawing style has used; I really admire the animators were able to smoothly guide each object to sync in to another thing and still keep it’s oddness? It’s hard to describe. The animation starts at 00:11. After watching this several times, I’m tempted to work on the bird story board that I wanted to do originally for an animation, but I want to animate it by using drawn out cells. I may start to play around with ideas over the holiday, but may consider creating a gif as a test then see how it goes. I have to consider the time length, how long will the animation be? how much time will I have to put effort in to creating this task? what style will it be in? Will I use a similar drawing style to the one that gave me the influence? Looks to me that I have another personal project on my hands for the Holiday. Also, this series is pretty much a parody of Back to the future, with a hint of Futurama to it. I highly suggest it to anyone who loves Sci-fi or/and comedy. 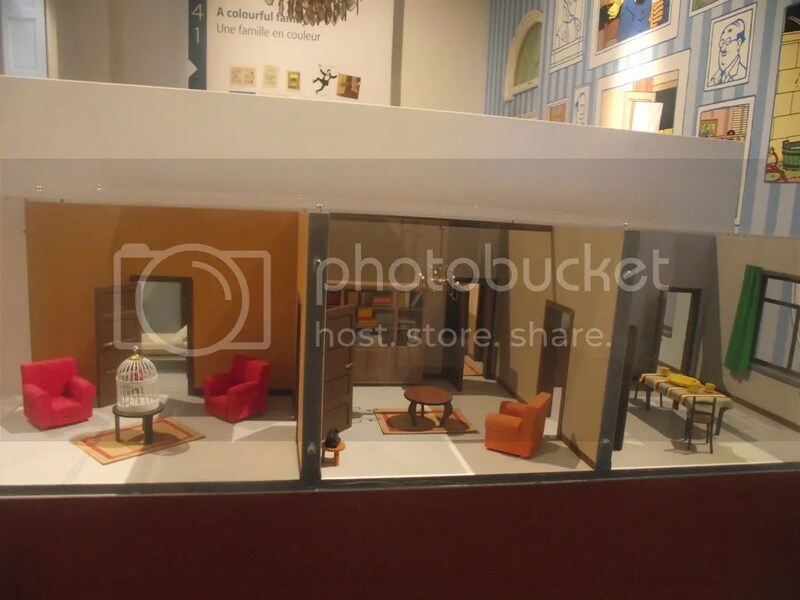 I went there for Tintin and other displays, but mainly because of Tintin. Seeing the comic right in front of you, it takes your breath away. The lines, the captions and to find out how the author came up with the idea for it is such a wonderful experience. Not only did it give you a broader idea on the history behind TINTIN; it allows you to know about the creator and about his life. 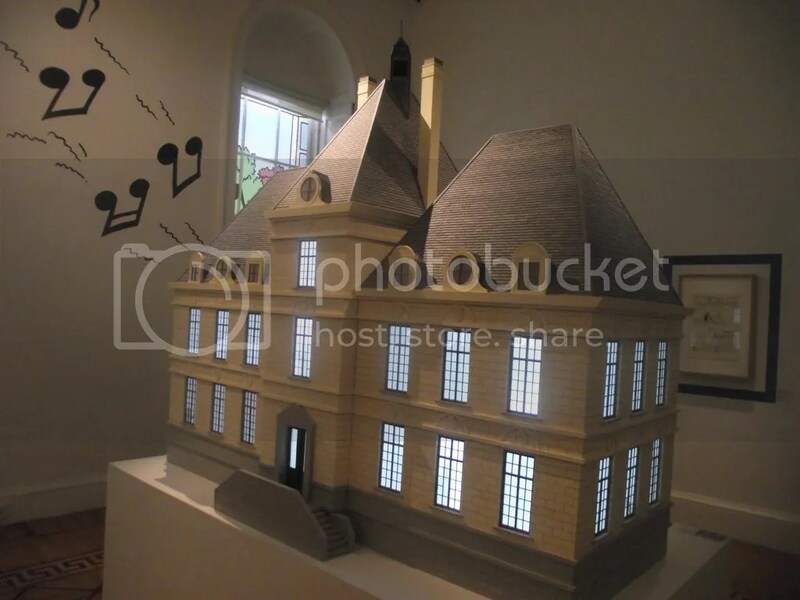 In total for this particular exhibition, there’s around 3 to 5 rooms that display scans, images and other art work related to this famous icon. 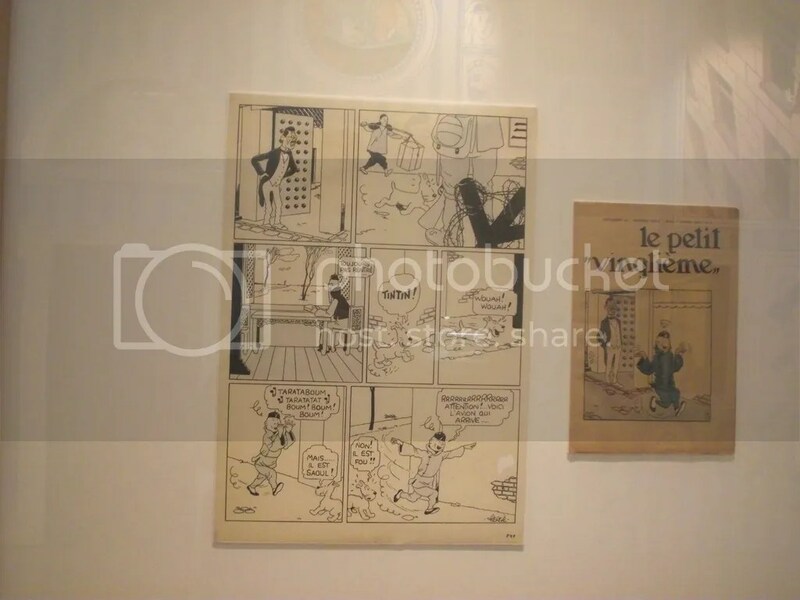 There were several pages displayed as an A3 page behind a glass frame on the walls, they gave a description of what was with in it and the mediums artist Herge had used to draw. Each panel gives off a strong example of how well the artist has published the movement/action or a character. I especially like how he boldly depicts the change in emotion on a characters face from one panel to another. 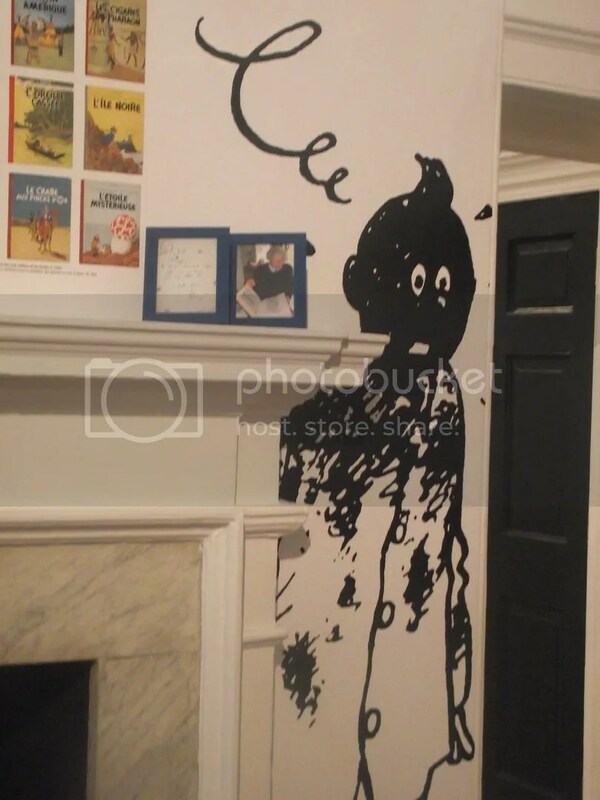 Another aspect I was keenly fond of was the wall displays that involved Tintin and his dog. They are just so effective towards the exhibitions display. They create such character. Above is another example of how funny, but interesting the room links were. 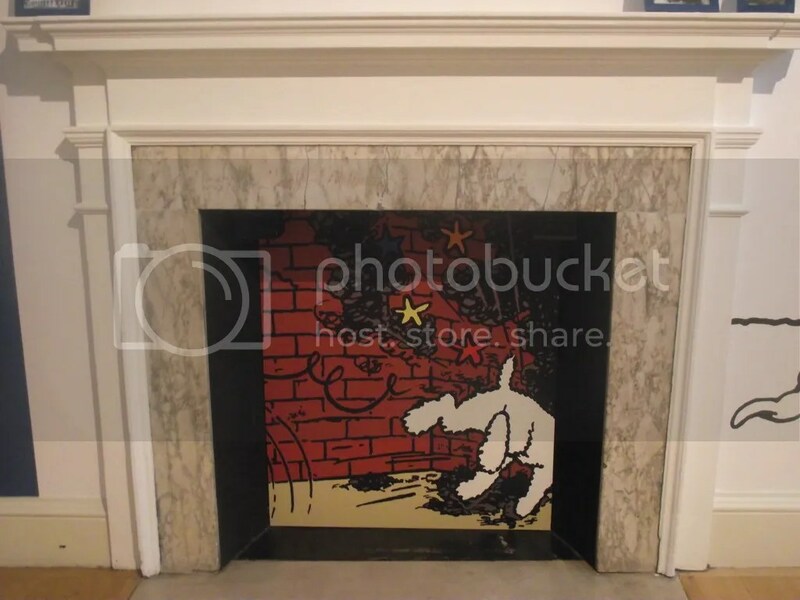 These little pieces were in front of the fireplace area in each room, except each room had a different image. The details of each object were given in brief, but looking at what there was on display, I suppose they had to make it very brief and not in a lot of detail, due to there was a lot of art work on display in each room. 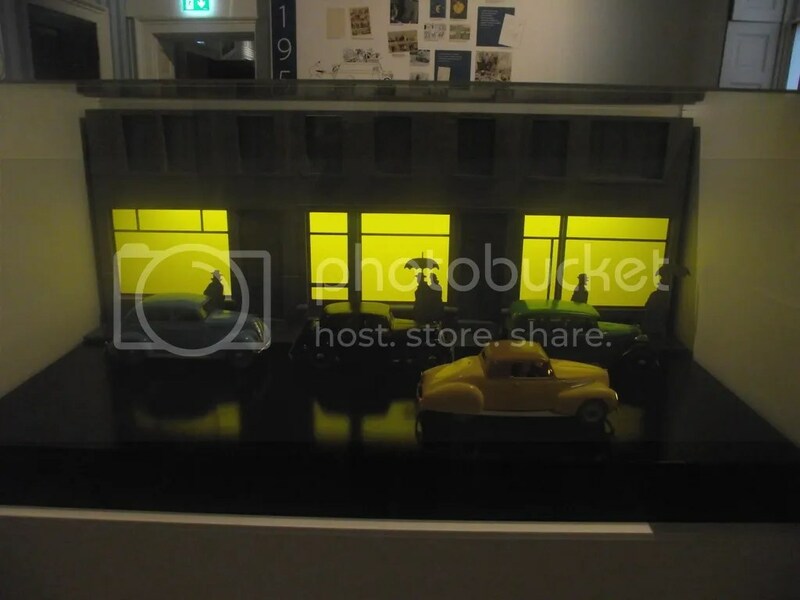 When it came to how the museum presented information about the artist and how he started off, there was a lot more info and they even provided quotes of what the artist had said, when he was asked about his characters or about the story. I found this to be particularly useful, if I were to chose one of the objects on display as an object to do my essay on, but it wouldn’t of allowed me to discuss it in detail. I would’ve of liked it if, they did provide some more information or had put up some on their website. A day at the Bethnal green museum. As this was one of the Museums I had been suggested to go to, I thought I would take the opportunity to go and check it out. The journey was pretty quick via the underground tubes and it’s just a short walk from Bethnal green’s station. I’m not quite use to traveling around London on my own, or visiting new places by myself and I tend to get lost on the way, but the trips are quite a satisfying thing to do once in a while. From the front of the building, it appears to be pretty small, but once you enter, it’s like the Tardis– It’s very spacious and there’s a lot to check out! 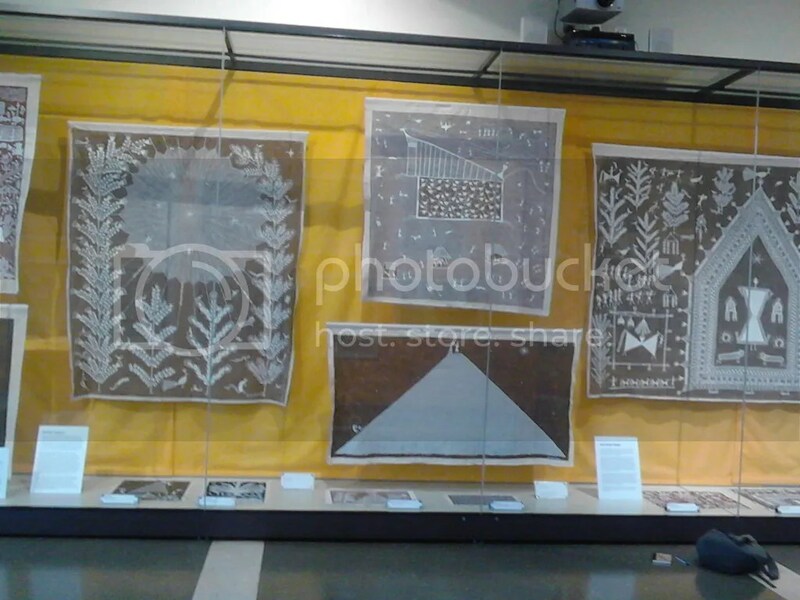 Once entering, I found myself drawn to the first display which was for the exhibition ‘The Tales we Tell: Indian Warli Painting’. The exhibition are currently presenting a series of very intriguing tribal paintings from Western India, which I will explain in a later post. I did capture some photos of this; they’ll also be included in the post. 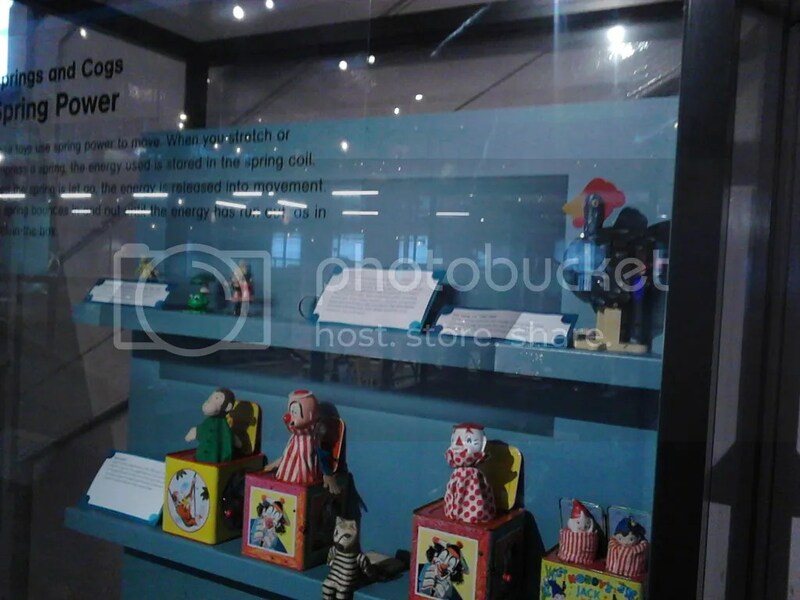 As I moved on, I headed on over to the toys and many other creative things that were in the collections behind the glass boxes. 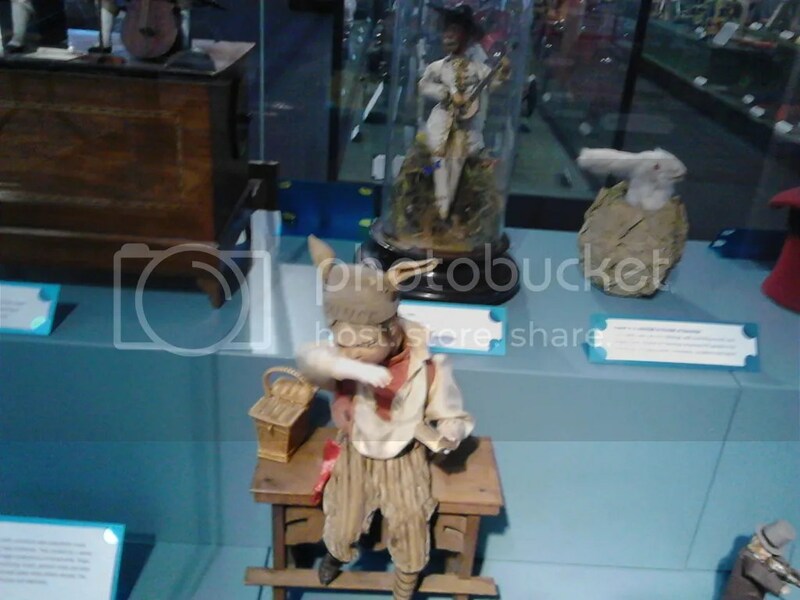 Now, as this visit was to find an object, or several objects between the times of 1918 to 1985, I had to focus myself and not get too immersed in the toys. Toys have always interested me in terms of how they can entertain, not only children, but adults as well. Though, I would have to contemplate, that the object I may be writing about could be a toy. If so, there are a few questions I would have to bear in mind: How do they function? what grabs the audiences eye? does this toy have any social value? or how has it affected society? 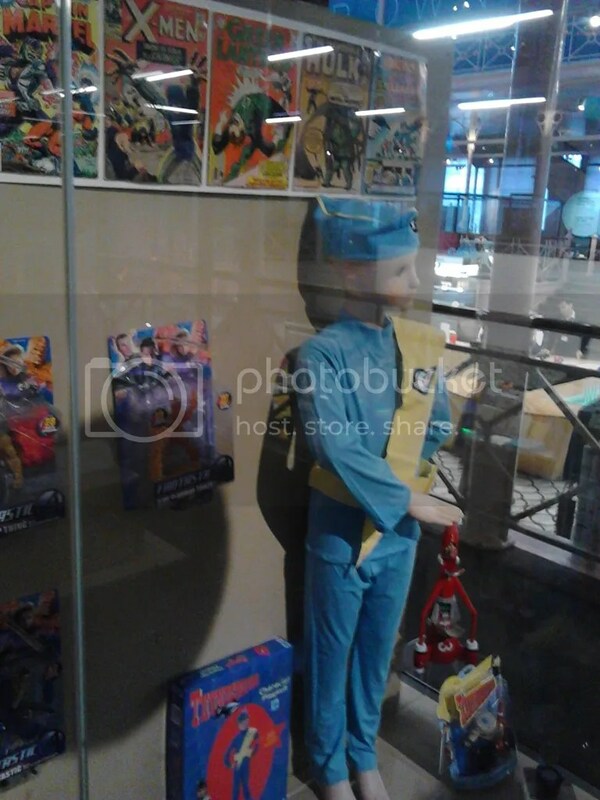 Not only did they have toys, but thy had memorabilia. 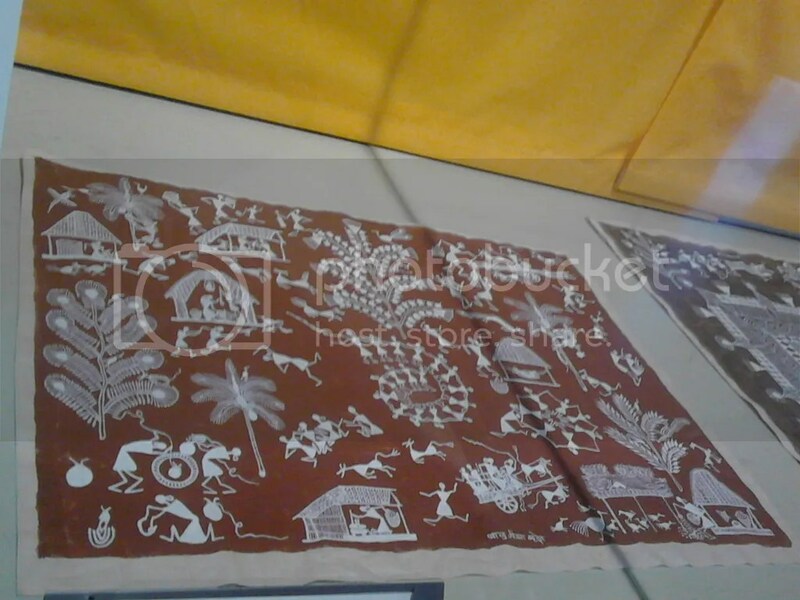 EDIT: As promised I have the photographs of the Indian warli paintings from the Museum of Childhood and I’ll be discussing them in this post. 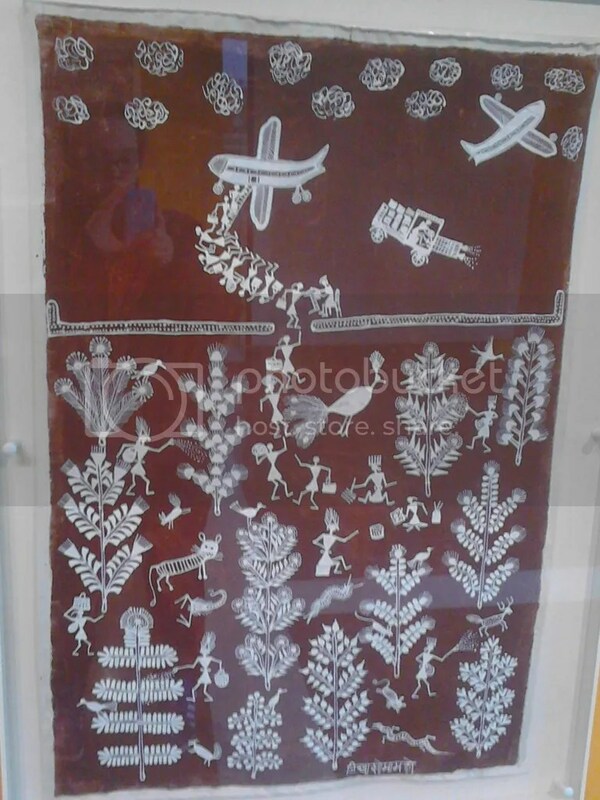 The Indian warli paintings displayed depict tales, events and every day life. 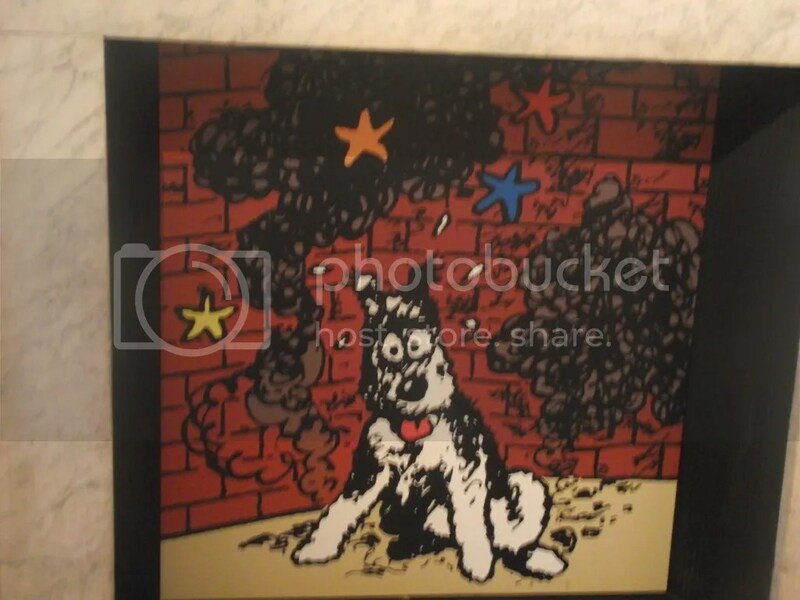 An example of one of the artist’s prints that they had created. The use of a bold, dark colour allows the lines to pop right out of the canvas. It’s the second week of CCS and we’re continuing our discussion of Modernism and post-modernism. This session was narrowing down what the two subjects are, and how they’ve influenced the art that we have now. I found this talk to be very interesting, and that it can then be helpful towards my research used for the essay, or any of the work that I may need to produce in future. It allows me to think in to more depth of what subject or if/how could the object can be either modern or post modern. To add to what I’ve just mentioned, it would be a good idea, if I considered questioning myself about the object while writing the essay in the chosen writing style because not only will the writing style for the essay will reflect on how I will write about the object, but asking questions, such as ‘Would this object be considered modern or post modern?’ could change the conclusion to the result(s) produced in the piece of writing(essay). If I want a successful essay, I will need to pay attention to specific details given as to why that object is post modern or modern because it will also help support my discussion. Modernism- Influences principle and legacy. As for the section on post modernism; I was unable to obtain the notes. When I get some time later in the week, I’ll find the powerpoint up on weblearn and make some. However, I think post modernism is quite hard to describe; it’s got so many different things to put to it, but it’s hard to firmly grasp what it is exactly. With most post modern objects, they were more about the look and NOT the function that it was intended to be used for. Though, some post modern objects may seem like they have a function to them, which makes this hard for us to make a decision on whether or not it is modern or post modern. movement in the arts, architecture and criticism that was a departure from modernism. interpretations of culture, literature, art, philosophy, history, economics, architecture, fiction and literary criticism. How is social class involved? who owned the item? rich? poor? what are the viewing patters or user patterns? 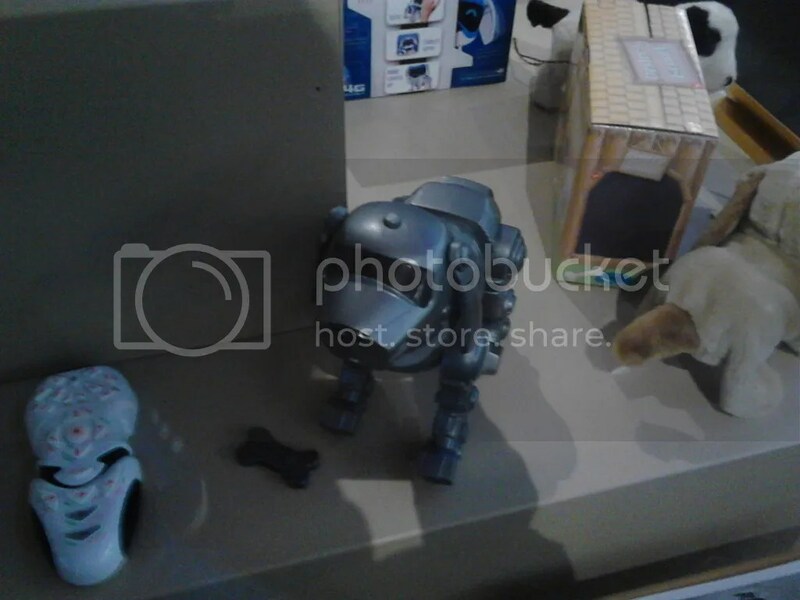 how is the item placed in the museum? where is it placed? Is it the focus of the room display? compare this with contemporary and modern. is it the same style as the other pieces? Is it a piece of furniture or a piece of technology? what other electrical items are there in the room? I’m planning on looking in to the two blog posts, since this is something I feel very comfortable with doing, but it may be a good opportunity, if I consider stepping out of the comfort zone and go with something like a Web journal or an exhibition pamphlet. Images are always considered as a very helpful resource because not only will they help you with discussing your subject, but they are used as a visual evidence/record for the person reading your essay. I want to try and take several different images of the same object from different perspectives– this could be one close up of the image; one of the object in the space and one of the room it’s in. Will I be able to speak about the obkect? is the object post modern or modern? and why?